Mega Millions lottery tickets are displayed on Jan. 3, 2018, in San Anselmo, California. Friday night's Mega Millions drawing is the third largest drawing in the jackpot's history. Friday night’s Mega Millions drawing will be worth an estimated $548 million with a cash payout option of $309.2 million. It is the third largest drawing in Mega Millions' history. 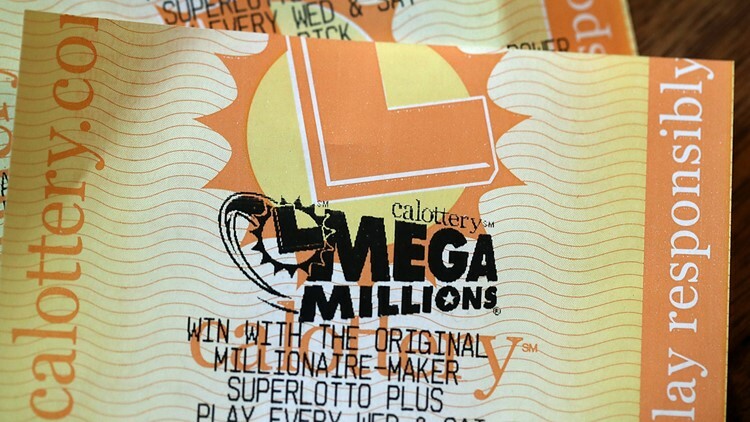 The odds of winning the Mega Millions drawing are about 1 in 258.9 million. The National Weather Service said lightning kills about 47 people in the U.S. each year. With about 325.7 million people living in America, the average person in the U.S. has about a 1 in 6.93 million chance of getting killed by lightning. The odds of being dealt a royal flush in poker are about 1 in 649,740. It depends on whom you ask, but a researcher at Tulane University ran the numbers. There's about a 1 in 8 million chance of getting killed in a shark attack. On average, about two people in the U.S. are crushed to death underneath a vending machine each year. The average person in the U.S. has about a 1 in 126.85 million chance of death by a vending machine. More than 2,500 left-handed people are killed each year around the world from using equipment left for right-handed people. Mirror UK reports the right-handed power saw is the most deadly item. There's a 1 in 4.4 million chance of a land-handed person getting killed from using a right-handed product. Note: CBS News contributed to this story.